Choose the best artistic experiences for your students and yourself with atyp Education. Our program is designed by trained teachers that specialise in connecting professional artists with your students. We work with you to create inspiring workshops that fit the unique needs of your class. Our experience and knowledge of the drama curriculum result in workshops that unite best theatre practice with student-focused outcomes. See an ATYP show and extend the experience with our professional practitioners afterwards. Or perhaps your drama class needs a fresh breath of 'The Wharf' air at your school. Our committed team will work with you whether you're from the far reaches of the country or from just down the road. We look forward to seeing you and your students to inspire creativity and learning in an imaginative and practical way. Sydney Harbour YHA and The Big Dig Archaeology Education Centre is the largest urban archaeological development ever completed in Australia. Since opening in 2010 it has received numerous prestigious awards in the fields of archaeology, education, heritage development, tourism and sustainability. 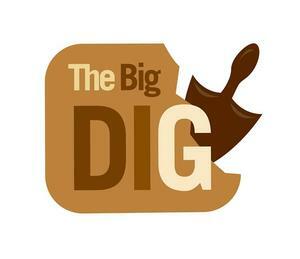 The Big Dig Archaeology Education Centre is a two-classroom, purpose-built facility which offers professionally-delivered education programs about this important heritage-listed site. The programs are run by Sydney Learning Adventures and the Historic Houses Trust. A series of five new curriculum-specific programs developed by Zarwood Education. Our experiential, hands-on programs look closely at a real archaeological site and have a lasting impact on students. Sydney Harbour YHA offers groups of up to 110 students affordable, modern accommodation in the historic heart of Sydney. Sydney Learning Adventures (SLA) brings the history of Sydney, NSW and Australia to life for thousands of students every year by offering a range of engaging, curriculum-linked programs at unique sites throughout The Rocks and Sydney Harbour. Designed for all stages of learning from kindergarten to year 12, SLA's programs provide an interactive, multi-layered learning experience. All programs are developed by teachers and implemented by our dynamic guide team. Curriculum links: HSIE, English, History, Ancient History, Stage 5 Elective History, Aboriginal Studies, Earth and Environmental Science. Duration: All programs run for 120 minutes unless otherwise specified. All programs include a teachers resource pack with pre- and post-excursion activities. Risk assessments and teacher resources can be downloaded from our website. Housed in a restored 1850s sandstone warehouse, The Rocks Discovery Museum is home to a unique collection of images and archaeological artefacts found in The Rocks. The museum is set out across four exhibition rooms-Warrane, Colony, Port and Transformations. The exhibits are filled with interactive touch screens as well as audio and visual elements to bring the history of The Rocks and its people to life. Primary and secondary teachers can book guided or free self-guided tours to help students learn about the area's traditional landowners, the establishment of the English colony and when 1970s union-led protests helped preserve this unique part of Sydney. The museum links to syllabus areas HSIE, History, Aboriginal Studies, Earth and Environmental Science. The Rocks Walking Tours Education Program specialises in introducing students to the history and heritage of The Rocks, Millers Point and Circular Quay. Our walking tours are conducted in a safe and stimulating environment by our qualified team of guides in the preserved 19th century historic landscape of Sydney's oldest neighbourhoods. The program is continually reviewed ensuring ongoing relevance to the current syllabus with KLAs of History, English and HSIE offering a variety of tours for primary and secondary school students. Program includes perennial favourites The Arrival of The First Fleet with Costumes and Beatie Bow's Sydney. These historically significant precincts provide a valuable outdoor educational experience that encourages ongoing learning about our fascinating past and present heritage. We look forward to welcoming teachers and students to The Rocks to experience this unique story. Located on the Sydney Harbour foreshore, the Royal Botanic Gardens Sydney is not only a site of historical significance and important plant collections, it is a place of natural beauty in the heart of Sydney. The gardens contain many themed environments including temperate rainforest, the succulent garden and Cadi Jam Ora: First Encounters Garden. These environments provide the perfect setting to engage and connect students with plants and nature. Community and Education Programs offer quality learning experiences in these themed gardens and biomes. Our lessons aim to increase students' understanding and appreciation of plants and the environment through hands-on activities. All lessons, which are closely linked to the NSW Board of Studies syllabus outcomes, complement classroom learning and we are involved in joint educational experiences with nearby partners. The Museum of Contemporary Art Australia (MCA) is the only museum in Australia dedicated to exhibiting and collecting the work of living artists. In 2012, the MCA opened the National Centre for Creative learning - a dynamic space featuring state of the art education facilities and learning environments. School learning programs at the MCA enable students to engage directly with contemporary art and participate in a variety of creative experiences that inspire new ways of looking at and thinking about contemporary art. Gallery explorations, studio extensions, artist lectures, workshops and digital excursions provide a range of learning experiences that explore artworks, artists' practice, the art world and art-making processes. MCA Learning also provides regular professional development opportunities for teachers that are accredited by the NSW Institute of Teachers. is interpreted in the weather tour. Focusing on contemporary and historical Australian art, The National Trust S.H. Ervin Gallery hosts a dynamic exhibition program providing a unique opportunity for students to learn about Australian artists and art practice. The gallery provides an exhibition floor talk to engage and stimulate students through initiating discussion and evoking personal responses. Located on historic Observatory Hill, enjoy a day of art with the best view of Sydney. Exhibitions link to the NSW Visual Arts Syllabus and we are happy to tailor floor talks to your students' specific learning needs, abilities and to suit your prgogramming objectives. Sydney Theatre Company is honoured to create many magical moments for our young audiences and to be the caretakers of their ongoing theatrical experiences through our Education programs, STC ED. STC Ed offers an eciting array of experiences for students and teachers including productions, workshops, backstage tours, resources, outreach programs and more. Built on the site of Australia's first Government House, the Museum of Sydney invites students to discover the story of our city through history, archaeology and art. The museum offers history and HSIE programs year round, as well as changing exhibitions exploring the many facets of Sydney's past and present. Go to the Sydney Living Museums website to find out details of current exhibitions. Experience the darker side of Sydney's past! This historic courthouse and police station (1856-86) is the perfect setting for primary and secondary HSIE, history, legal studies and commerce programs. Students will delve into the intricacies of the 'Pyjama Girl' murder case, explore the link between the gold rush and bushranging, and hear about contemporary police and court procedures. Located in the heart of The Rocks, Susannah Place is a rare surviving example of a row of simple working-class terraces. Students will enjoy a glimpse into the domestic lives of the Youngein and Cunningham families as they explore the rooms of the terraces and the faithfully re-created 1920s corner store. Find out more about our Stage 1 HSIE and Stage 6 Ancient History programs on the Sydney Living Museums website.